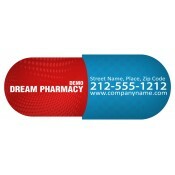 Medication magnets are perfect for promoting all types of healthcare services because they have the ability to stick contact information on refrigerator doors of your clients! 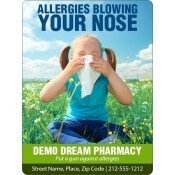 These promotional magnets deliver high advertising advantage to healthcare marketers who are trying to make their campaigns stand out. 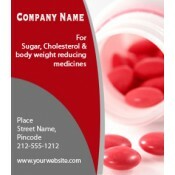 Produced over various popular sizes of rectangle and square magnets and health care shaped magnets, these promotional healthcare magnets are perfect for all types of healthcare marketing. 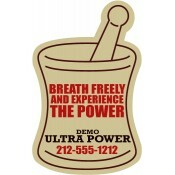 All magnets are made in USA, hygienic and lead-free! Healthcare marketing is becoming more of a challenge than pleasure for healthcare businesses. Credibility and trust are two major keywords for the success of the healthcare business but with plummeting quality and rising costs they are hardly achievable. There is hardly a day without news on healthcare mishaps and malpractices. Nowadays, people thoroughly screen a healthcare service provider before deciding to seek their services. They usually turn to their immediate relatives and friends to seek advice on a healthcare provider or they rely on their previous experiences. Healthcare services have to work hard to make their business a talking point. A few years ago, healthcare businesses relied on print and media advertisements to improve their visibility and thought that their job is over. Today, they are trying to reach out individually through emails, traditional marketing items and personalized magnets. However, the first two options have limitations in terms of accessibility and utilization but the third option offers them large creative space and freedom of expression. We offer free full color printing with all our personalized magnets which empower healthcare marketers to go creative with their campaigns. They can use as many colors and visuals to print their business information without adding up to their promotional budget. We offer the largest savings on bulk orders than anyone else online. 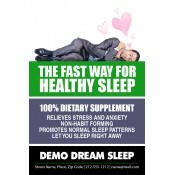 Avail free shipping anywhere within the contiguous USA. For fast shipping, you can easily select from FEDEX 2 day shipping and overnight shipping at slightly higher costs. We offer free art setup and free online design proof. 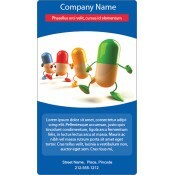 Full color medication fridge magnets are perfect for dispensaries, hospitals, clinics and pharmaceuticals trying to popularize their business. They can use it as a giveaway during the tradeshows, medical camps, local events, community services, church services and more. People will happily receive these personalized magnets because it offers them easy accessibility to their favorite healthcare provider. To know more about promotional benefits and customization advantages of these personalized healthcare magnets, feel free to contact us at 855-762-4638 or write to us at info@cmagnets.com.